/avengers-2-age-of-ultron-new-iron-man-armor/Last week, Hot Toys debuted a first look at their Iron Man figure from Avengers: Age of Ultron, showing Tony Stark in his Mark XLIII Armor. The figure is incredibly detailed, with the photos giving us a pretty great idea of what the Mark 43 suit will look like on the big screen. Now, Hot Toys has debuted more from their Avengers 2 lineup, offering a sneak peek at Hawkeye, Captain America, Black Widow and Thor in their new costumes. 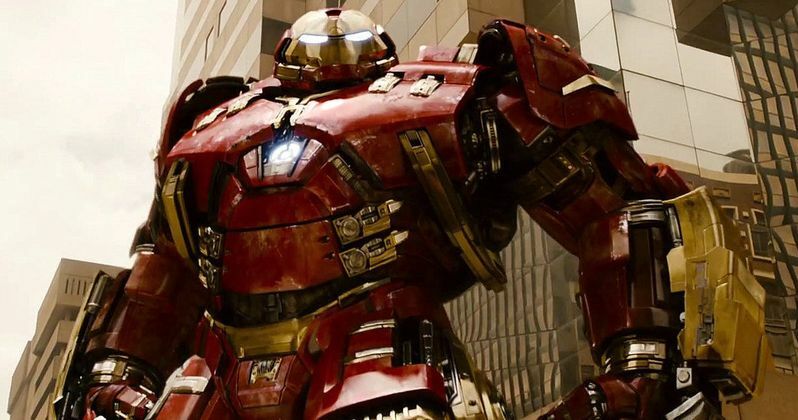 We also get a more detailed look at Hulkbuster and Thanos. Hot Toys debuted the new lineup of figure at the Toy Soul 2014 Expo this weekend. And as you can see in the tweets below, these toys bring a great idea of what we can expect to see from these main characters in 2015. We also get a look at the Hulk, who pretty much looks exactly like he did in Marvel's The Avengers.